This is our reference NY-14708. Enjoy amazing views of the Manhattan's skyline everyday from the comfort of this room for rent with private bathroom on Roosevelt Island! 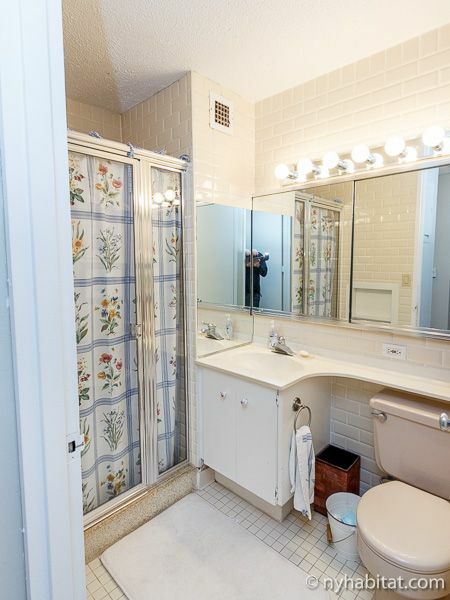 This fully furnished room is located in a four bedroom / three bathroom apartment, on the 8th floor (considered 7th by Europeans) of a high rise building. Amenities of the building include an elevator, a 24-hour doorman, on-site laundry facilities, and a swimming pool, which is available to use for an additional fee. 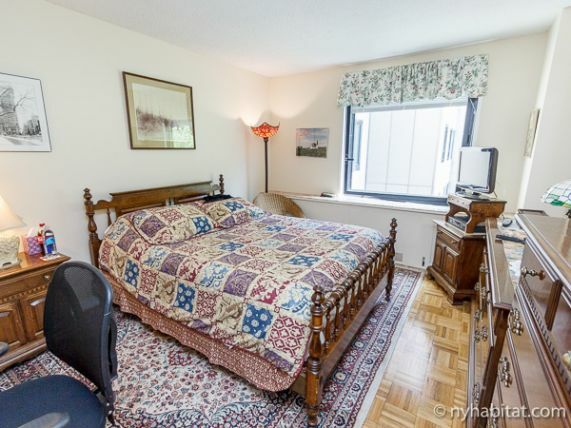 Lined with hardwood floors, the room for rent in a four bedroom home is furnished with everything you might need for a comfortable stay in NYC! 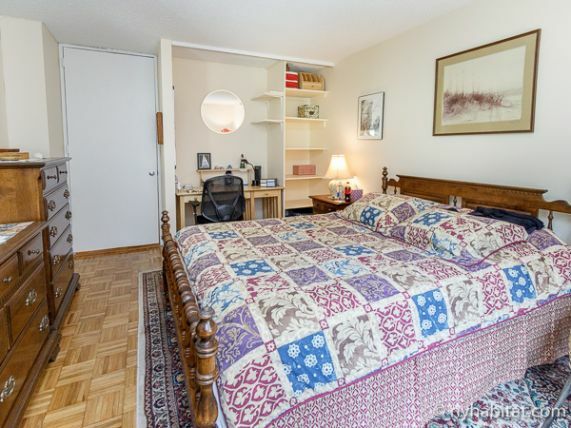 It includes a queen-sized bed, wall shelves and chest of drawers for storage, and has a desk space for working on a laptop. 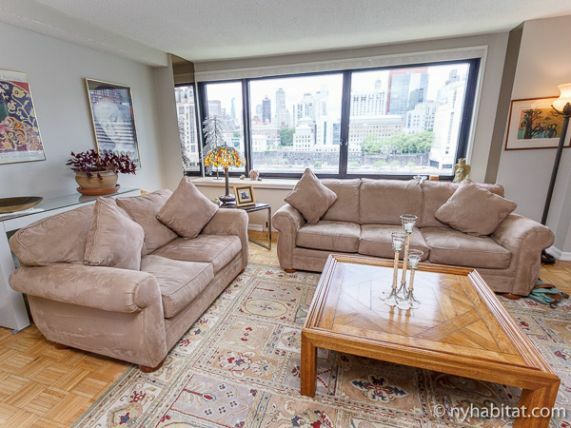 There is also a television with cable, a private bathroom and scenic views of Manhattan over the East River from the southern exposed window. You will have access to the living room and kitchen which will be shared with your roommates. 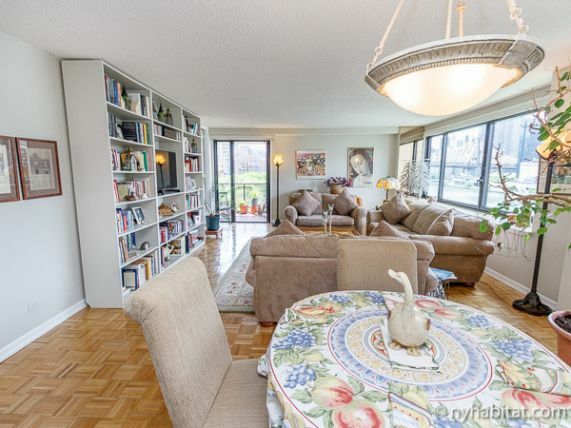 The large living area has five windows and a balcony overlooking the river! Here you will also find a TV with cable and DVD player. 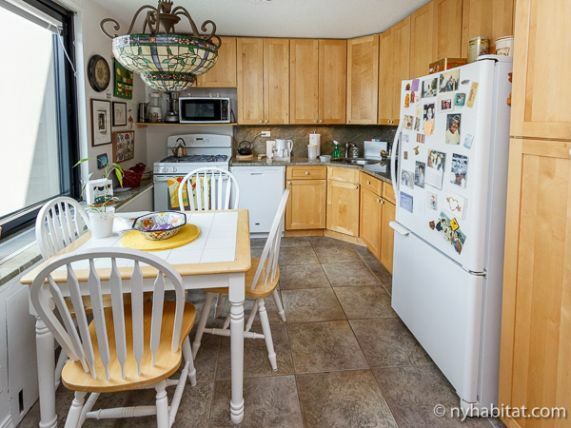 The kitchen includes a dishwasher, coffee maker and toaster in addition to all the basic amenities. The apartment has the convenience of central air conditioning, and wireless Internet is also available. 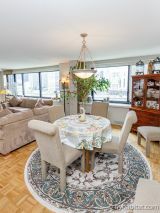 Located on Main Street, this apartment share provides easy access to Midtown East and the Upper East Side. 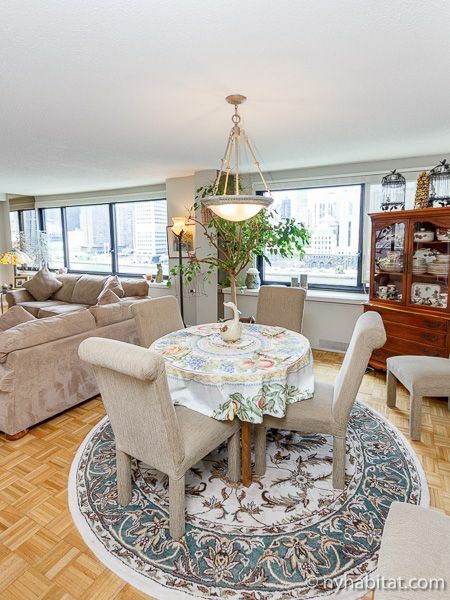 Simply take the F train at the Roosevelt Island subway station, or take the Roosevelt Island Tramway and enjoy the views of Midtown East while crossing the Queensboro Bridge! There is also a bus that drives around the island for free.